Ever since Sidney Swartz introduced his humble boots to the United States in 1973, it’s done one thing well. It gets the job done for the wearer, whatever that job might be. When Swartz created the Original Yellow Boot, he had no idea that he’d be launching a worldwide icon that would still be going strong more than four decades later. His only concern was making a boot that was strong enough to stand up to the harsh winters of New Hampshire, an area that routinely finds itself pounded by snow every year. The large amounts of snow meant a waterproof boot was an absolute necessity, a process that Swartz’s Abington Shoe Company had begun in the 1960’s. As the 1970’s came about, Swartz saw his chance and created a boot that would appeal to any and all New Hampshire residents, a boot that would be for everyone. What followed was one of the most popular products in the history of the shoe industry. The yellow boot became so popular and so recognizable that the boot ended up absorbing the Abington Shoe Company and adopting the name The Timberland Company to reflect just how beloved these boots were. With the name change, the new company had established itself as a truly timeless and unique part of the market. Soon to follow were more examples of waterproof footwear, including casual shoes and boating shoes. 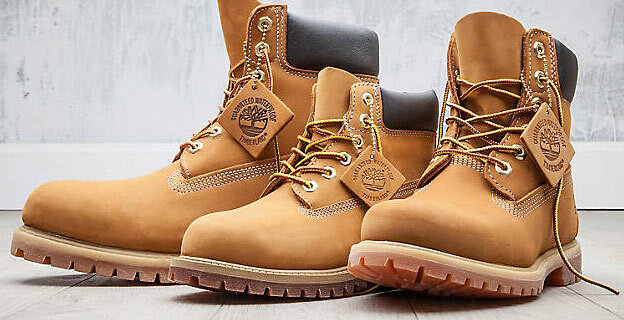 Each allowed Timberland to take its first step away from being merely a shoe company and instead becoming a true player in the clothing market. 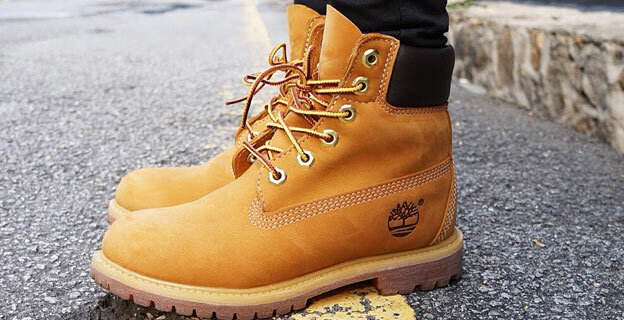 By the 1980’s, Timberland had become a full-fledged clothing company, and the only remains of the Abington Shoe Company were those yellow Timberland boots that had marked the beginning of a new age for the company. And what became of those boots? Since becoming the company’s flagship product, the original yellow boot gained massive popularity in the world of hip-hop, as rappers across the nation began donning the boots as a way to stand out. 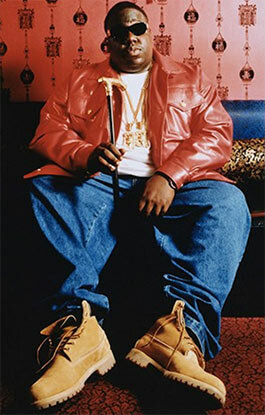 “Timb’s for my hooligans in Brooklyn…” – Notorius B.I.G. 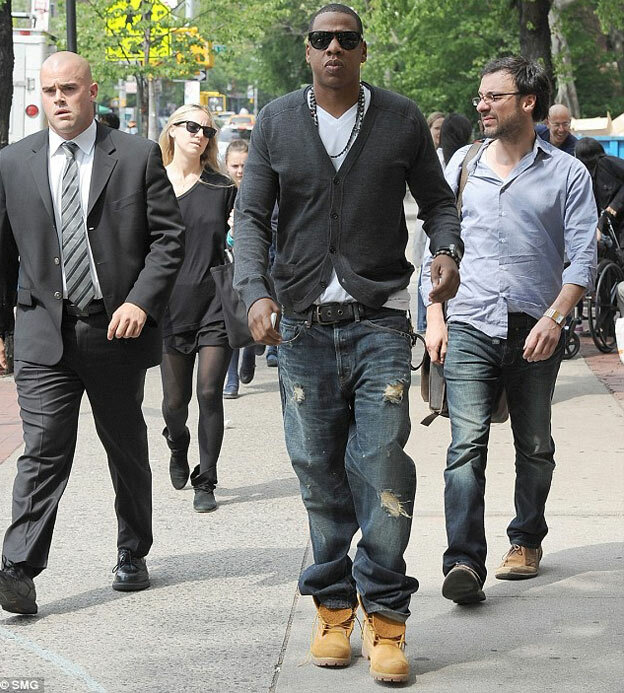 Why are Timberland boots so popular, and timeless? The brightly colored boots were easy to spot in a crowd while providing the necessary functions to tackle any project, no matter how big. When an artist wanted to sit back and relax, the Timberland boots were the perfect fit, being casual enough to look perfectly in place in whatever situation it was placed in. “The boot is so popular because it doesn’t conform to one certain genre; it can be put with anything and help create a look,” British fashion magazine editor Elgar Johnson said. That’s been Timberland’s focus ever since the 1970’s, and it’s known for a while that creating the perfect look at all about details. The yellow boot has never been an exception. From the beginning, it’s taken the best of function and fashion to create a trend that works in any and all scenarios. The boot has held to those ideals so well that it’s virtually the same product that it was back in 1973, only requiring minor tweaks along the way. In that way, it reminds me of a short list of shoes, including Chuck Taylor All-Stars. Forty-four years and an incredible amount of sales later, the Original Yellow Boot is still going strong. Maybe that’s why people believe that no matter what task awaits them, nothing can stop them as long as they’ve got their Timberland boots on their feet. This entry was posted in shoe brands and tagged boots, brand history, coupons, famous footwear, finish line, foot locker, timberland on March 3, 2017 by Dan Angell.